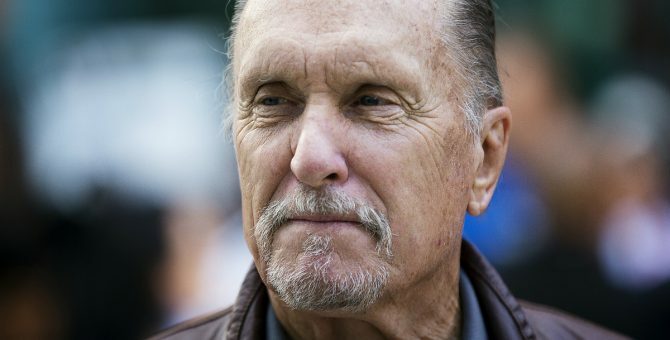 Steve McQueen’s long-anticipated thriller Widows has capped off its casting spree with the addition of Robert Duvall, Deadline has learned. Based on the British miniseries of the same name, McQueen’s crime caper – his first feature since the wildly successful 12 Years a Slave – boasts an all-star cast comprised of Hidden Figures scene-stealer Viola Davis, Colin Farrell (The Beguiled), Liam Neeson, Michelle Rodriguez, Cynthia Erivo, Elizabeth Debicki (Guardians of the Galaxy Vol. 2) and soon-to-be Black Panther star Daniel Kaluuya. It’s an ensemble good enough to evoke envy from any rival studio, and we can’t wait to see all of those talents share the screen together come 2018. Granted, Widows is still in search of an official release date, but we do know that Steve McQueen penned the script with the help of Gillian Flynn, the celebrated author best known for Gone Girl, Dark Places and Sharp Objects – two of which have been repackaged into full-blown features, while the latter is about to be spun out into an HBO series starring Amy Adams. In terms of Widows, though, those familiar with the 1983 British miniseries will know that Lynda La Plante’s series kicks off “when four armed robbers are killed during a robbery and their surviving spouses come together to try to finish the failed job.” A female-fronted heist drama with Steve McQueen at the helm? Count us in. New Regency is yet to nail down a release date for Widows, but that ought to change very soon given the addition of Duvall. As always, watch this space for more.